(Reuters) – A federal judge in the Brazilian state of Amazonas issued an injunction on Thursday ordering the suspension of the billion-dollar auctions of pre-salt oil and gas rights scheduled for Friday. The injunction was sought by the leftist Workers Party and could easily be overturned if appealed, as is often the case in Brazil. Major oil firms are vying for the blocks in Brazil’s offshore pre-salt area, where billions of barrels of oil are trapped under a layer of salt. 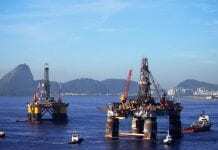 The injunction was made public by the Workers Party, which opposes the privatization of oil production and a reduced role for state-run oil company Petroleo Brasileiro SA. In his decision issued in Manaus, Judge Ricardo Sales said it was plausible that the auctions would result in the loss of income to the Brazilian state as argued in the injunction request. 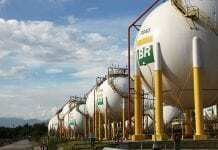 Sales ordered the suspension of all the second- and third- round auctions organized by Brazilian oil industry regulator ANP. The auctions were due to start in Rio de Janeiro at 9 a.m. (1100 GMT) on Friday. Top global oil companies are lined up to bid in the auctions for some of the world’s most prolific deepwater oilfields, a test of their appetite for capital-intensive offshore projects after three years of low oil prices. Firms such as Exxon Mobil, Royal Dutch Shell and Total are expected to be compete for the more than 12 billion barrels of estimated oil reserves that Brazil is offering. At current prices, that volume of oil is worth about $600 billion. Several of the blocks were expected to go to companies that are already developing nearby blocks, such as Shell, Norway’s Statoil and Petrobras.